Thank you to Adas Israel Religious School and to our 2018 Corporate Sponsors. Did you know you can support Anne Frank House simply by shopping? 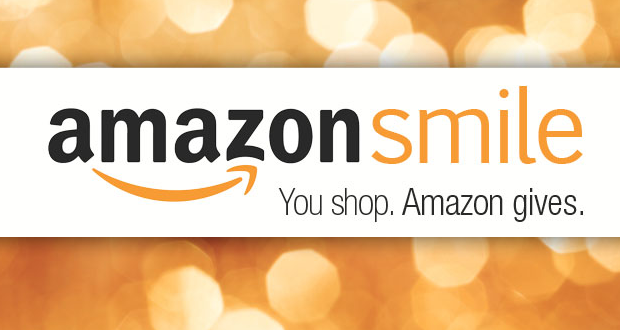 When you shop at smile.amazon.com, they donate a portion of your purchase to our organization. It couldn't be any easier! To view more information on our organization, please click the link below to download our printable brochure in PDF format. 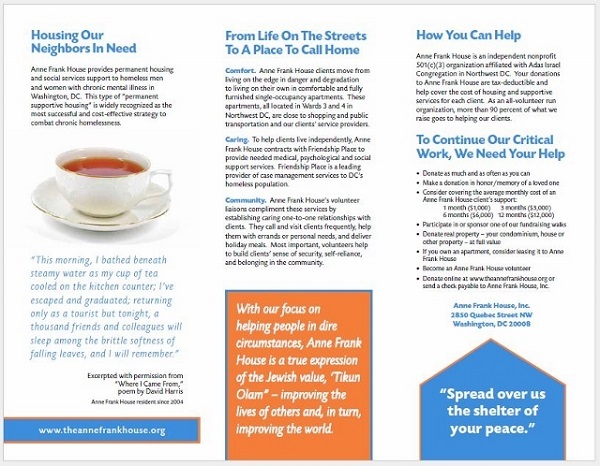 Anne Frank House in Washington, DC provides permanent housing and social services support to homeless men and women with chronic mental illness. Our clients move from living on the streets in danger and degradation to living on their own in comfortable apartments they can call home. 2017 marked Anne Frank House's 30th anniversary and we were honored with a ceremonial resolution from the Council of the District of Columbia, presented by Council Member Mary Cheh. You can read more about this in the Washington Jewish Week and Kol HaBirah. Also check out Council Member Cheh's op-ed about the Anne Frank House in the Northwest Current.